Guide to Diving in the Cenotes of Yucatan, Mexico. Scuba diving in Mexico there are three main attractions in the Riviera Maya and Cancun region of the Yucatan peninsula for more experienced divers. Diving with whale sharks, diving with bull sharks and cenote diving in the spectacular cave systems of the Yucatan peninsula. Diving with whale sharks and bull sharks are both season bound and unfortunately we were here out of season for diving with either. We did however do some amazing cavern diving in the cenotes. The Yucatan Peninsula is not the only place to dive in Mexico, for more dive sites look at this guide to diving around Mexico. 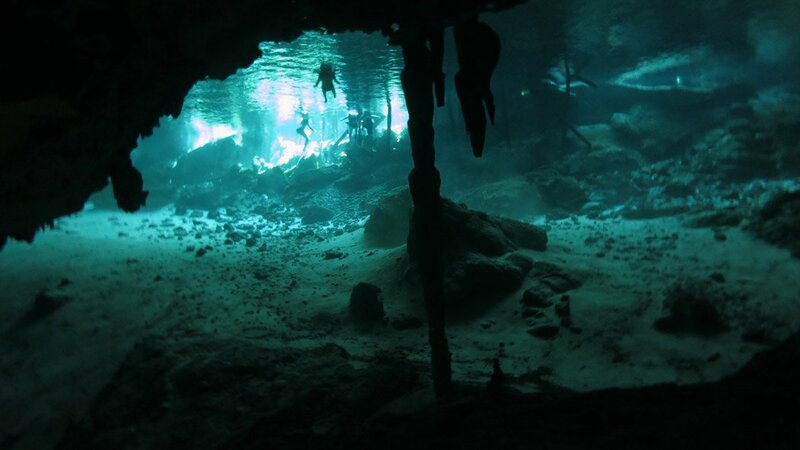 Cenote Diving Mexico – Dos Ojos is a beautiful cenote, it is shallow so it is accessible to open water divers. 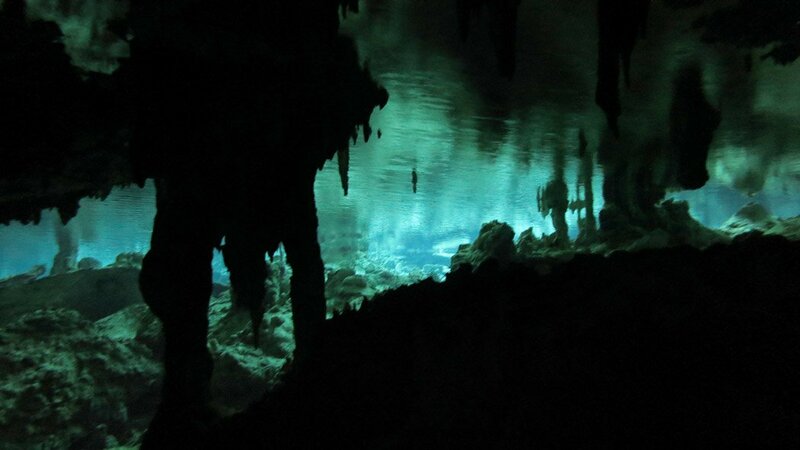 The Yucatan peninsula poses a complex network of underground caves of hundreds of kilometres in limestone rock. What is a Cenote ? Cenotes are freshwater-filled sinkholes formed when the roofs of limestone caverns collapse. The cenotes then provide an entrance into the cave system. Rainwater filters through the earth into the cave system. Consequently many cenotes are filled with crystal clear, turquoise water perfect for diving. Some possess an array of stalagmites and stalactites formed over millions of years that makes these caves even more beautiful. The Yucatan cenotes are entrances to intricate cave systems that draw divers from around the globe. There is a distinction between cave and cavern diving making it possible for anyone with an open water qualification to dive in the cenotes. Cavern diving is the exploration of overhead environments such as caves always keeping the entrance in sight. Cavern divers do not go no further than 60m without access to the surface. They use a guide line to prevent getting lost that is already attached to the cave floor. 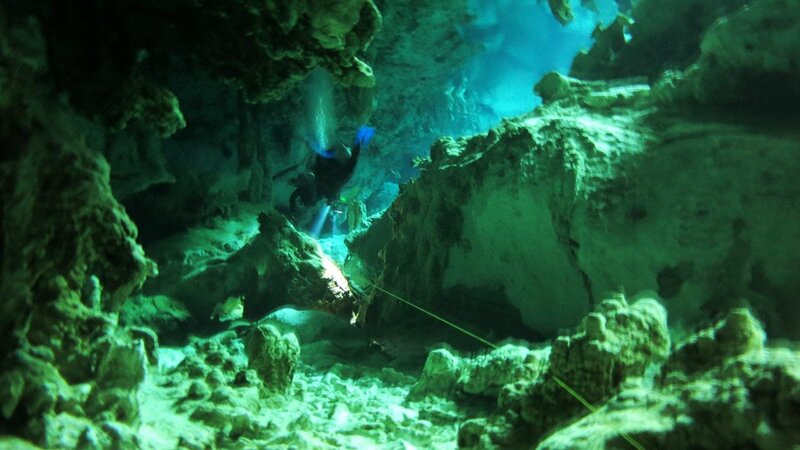 The fixed line on the bottom of the cenote is visible, this is required when divingin a cavern. It differs from cave diving in that cave divers may penetrate very deep into the caves. Cave diving is technical diving and specialized training is required. 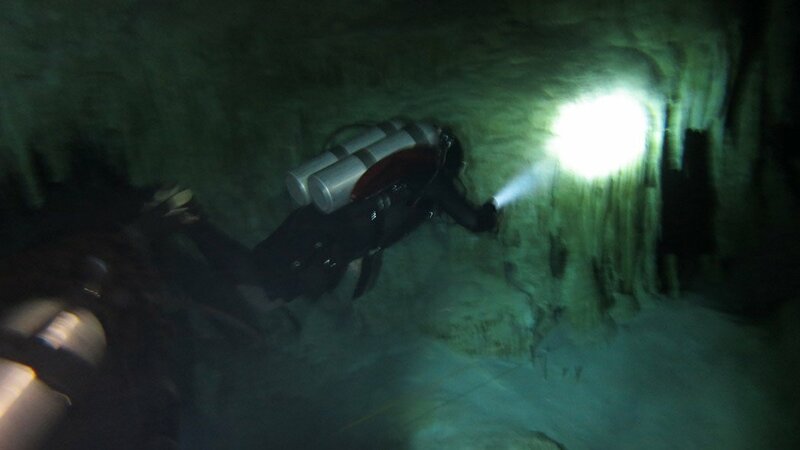 For cavern diving the same qualifications as for openwater dives are required. 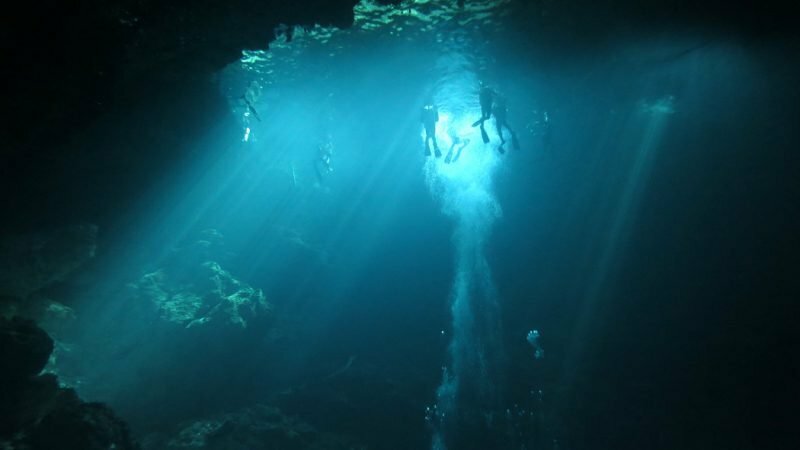 There are many cenotes to dive in around Tulum, the dives are expensive, you can read HERE about different Cenotes. We decided to do a triple tank dive in two different cenotes, Dos Ochos and The Pit. 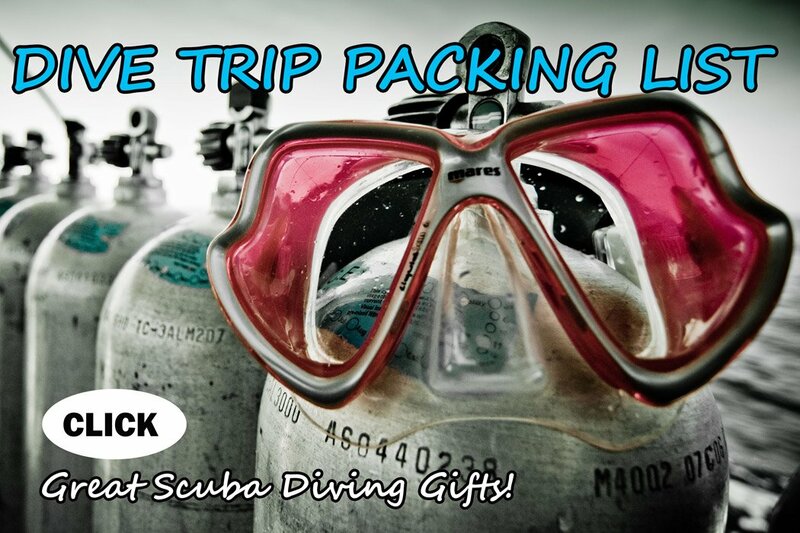 This beautiful dive site is known for shallow dives and you only need an open water qualification to dive here. We did two dives in this cenote. These two caverns start and end in the same place but are very different from each other. The Barbie line, it is a 500m circuit and containing plenty of daylight. It also gives divers a lot of space to swim around huge columns and stalactites. 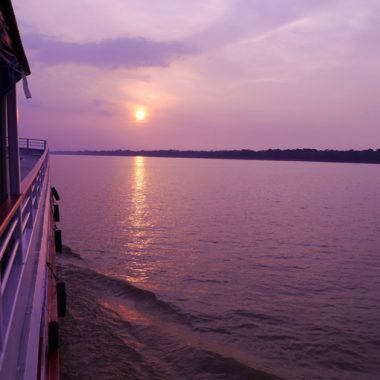 The light and beautiful scenery is very nice for taking photos. Diving in the cenote Dos Ojos. 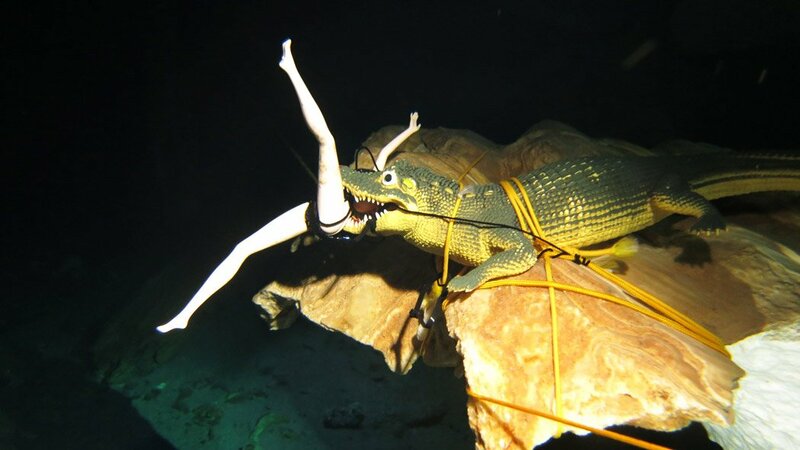 The longer loop, called the Barbie Line, gets its name from this Barbie doll being eaten by a plastic crocodile at the midway point of the dive. The Bat cave line feels almost like a cave. It is the darker of the two due to the fact that it leads around an air filled bat cave with little daylight entering. 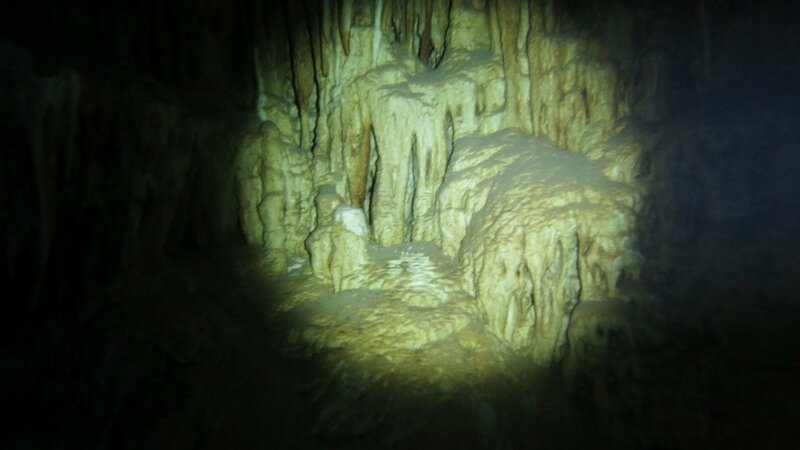 The Dos Ojos underwater cave system was featured in the 2002 IMAX film “Journey into Amazing Caves” and the 2006 BBC/Discovery Channel series “Planet Earth” and parts of the Hollywood 2005 movie “The Cave” were filmed here. This unreal dive was definitely my favourite cenote and one of the most beautiful places that I have ever dived. It is a deep dive and an advanced qualification is required. The Pit is a sinkhole inside the deep jungle near Tulum, it is a part of the Dos Ochos system. Rays of bright turquoise light reach more than 30 meters straight down with unlimited visibility. A cloud of hydrogen sulfate, anthropological remains and cave formations make this cenote an an unreal experience. Looking at stalactites and cave formations diving in “The Pit”. The Pit (119 m) is the deepest cenote in the State of Quintana Roo. On our dive the water was crystal clear and from 37 meters I could see a diver on the surface entering the water. Panicking at this depth can be very dangerous. A diver in another group had a problem. I saw him sprinting the whole 30m to the surface, heading for decompression problems in water as clear as if he was floating in the air. 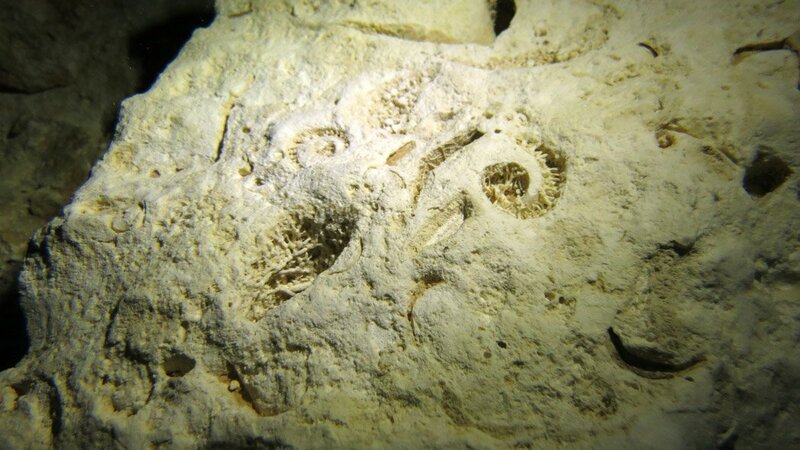 Fossils in the cenote “The Pit”. Diving was expensive a triple tank dive including Dos Ochos and The Pit cost $140, but was the best deal we could find. This included all gear and was from the dive shop in Tulum. Diving in the Cenote Dos Ojos. Hi there looking to do this exact trip in the next couple of days. Did the dive shop have a name? Also how strict where they on showing your ticket I don’t have my card on me and can only find an old photo of my SDI open water scuba license. Hi Nick, thanks for reading. The center was called “School of Diving Tulum” Regarding your proof of qualification go to the following website https://www.tdisdi.com/cert-search/ Safe Diving! Did you dive in Cozumel as well? Or you skipped it and just did the Cenotes. Hello Esther, we missed both the bull shark and whale shark season and decided not to spend the money on average tropical diving so only dived the Cenotes.